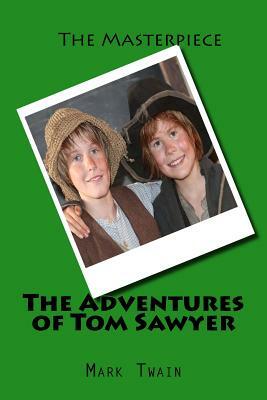 The Adventures of Tom Sawyer is the first of Mark Twain's novels to feature one of the best-loved characters in American fiction, with a critical introduction by John Seelye in Penguin Classics. From the famous episodes of the whitewashed fence and the ordeal in the cave to the trial of Injun Joe, The Adventures of Tom Sawyer is redolent of life in the Mississippi River towns in which Twain spent his own youth. A sombre undercurrent flows through the high humour and unabashed nostalgia of the novel, however, for beneath the innocence of childhood lie the inequities of adult reality - base emotions and superstitions, murder and revenge, starvation and slavery. Samuel Langhorne Clemens (November 30, 1835 - April 21, 1910), better known by his pen name Mark Twain, was an American author and humorist. He wrote The Adventures of Tom Sawyer (1876) and its sequel, Adventures of Huckleberry Finn (1885), the latter often called "The Great American Novel." Twain grew up in Hannibal, Missouri, which provided the setting for Huckleberry Finn and Tom Sawyer. He is considered as "the father of American literature.